If you are in the position that you can pass on an inheritance to your children, you will be very proud to see all your hard work come to fruition. It is a responsible person indeed who thinks of their family’s welfare when the time comes to passing on an inheritance. The sad situation is that any asset such as land, property or cash passing on death (or handed over prior to death) may give rise to a Capital Acquisitions Tax (C.A.T.) liability. C.A.T. is a tax on the “acquisition” of capital for less than full consideration. It incorporates a Gift Tax and an Inheritance Tax. The person receiving the gift or inheritance (the successor or donee) is liable for the tax. When the tax arises, they may be forced to sell part of their benefit to meet their tax bill. The rate of C.A.T. is currently 33% (with effect from 5th December 2012). €280,000 Applies where the beneficiary is a child (including adopted child, step-child and certain foster children) or minor child of a deceased child of the disponer. Parents also fall within this threshold where they take an inheritance of an absolute interest from a child. €30,150 Applies where the beneficiary is a brother, sister, niece, nephew or lineal ancestor or lineal descendant of the disponer. €15,075 Applies in all other cases. Small Gift Exemption whereby the first €3,000 per annum per disponer of any gift is free from CAT. 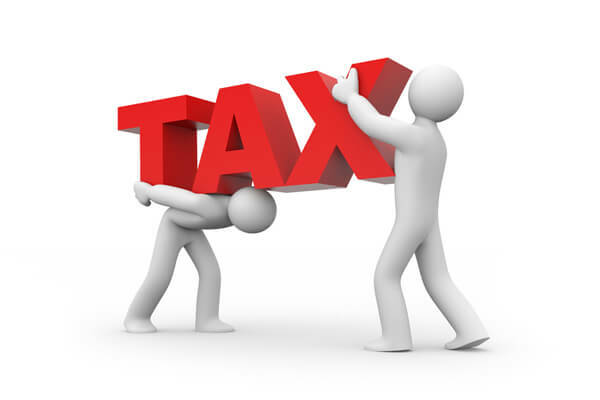 We would always recommend you consult and we can liaise with your Tax Consultant/Accountant to ascertain relevant thresholds and exemptions which may apply. While there are ways to reduce a potential CAT liability, it may be prudent and wise to effect a Section 72 Life Insurance Policy. If you take out a life assurance plan, specifically for Inheritance Tax, the funds paid out on the plan will not be subject to Inheritance Tax – provided they are actually used to pay the tax bill. To encourage people to plan ahead and to have cash available to pay Inheritance Tax when they die relief is available on certain life assurance plans. This relief was introduced by Section 60, of the 1985 Finance Act to allow people to plan for the payment in a tax efficient manner. The legislation is now contained in Section 72 of the CAT Consolidation Act 2003. The Relief provides that where a life assurance policy is put in place to provide for the payment of Inheritance Tax, Revenue will not seek to tax the policy proceeds to the extent that the money is used to pay Inheritance Tax arising on the death of the lives assured under the policy, provided certain conditions are met. The benefit of using a ‘qualifying’ life assurance plan to fund for the payment of Inheritance Tax is that, as long as certain conditions are met, the proceeds of the policy when used to pay Inheritance Tax, will not increase the beneficiaries Inheritance Tax liability. Whereas, if the money was left in a bank account, for example, this money will be seen by Revenue as an additional inheritance and will increase the tax bill. If this is an issue that concerns you please contact us. We will work with you and your Accountant/Tax Consultant and Solicitor to ensure the correct plan is in place.